Hide this Dealer (Faida Property Hub)Discover properties by other dealers by hiding those whom you have already spoken to. You won't see them in your searches further but you can unhide anytime later. Hide this Dealer (Sonam enterprises)Discover properties by other dealers by hiding those whom you have already spoken to. You won't see them in your searches further but you can unhide anytime later. Hide this Dealer (Saai Realtors)Discover properties by other dealers by hiding those whom you have already spoken to. You won't see them in your searches further but you can unhide anytime later. Hide this Dealer (M. R. Realty)Discover properties by other dealers by hiding those whom you have already spoken to. You won't see them in your searches further but you can unhide anytime later. Hide this Dealer (Sanjeevni Entreprises)Discover properties by other dealers by hiding those whom you have already spoken to. You won't see them in your searches further but you can unhide anytime later. Hide this Dealer (Golden Star Properties)Discover properties by other dealers by hiding those whom you have already spoken to. You won't see them in your searches further but you can unhide anytime later. Unique Poonam Estate Cluster 2 is a popular residential project developed by Unique Shanti Developers that is located in Mira road East, Mumbai. The project offers 2BHK and 3BHK apartments with modern amenities for the comfort of residents. Where is Unique Poonam Estate Cluster 2 located? Mira Road, a prime residential locality for house seekers in Mira Road And Beyond. What is available flat size in Unique Poonam Estate Cluster 2? Flat sizes in the project range from 950.0 sqft to 1385.0 sqft. 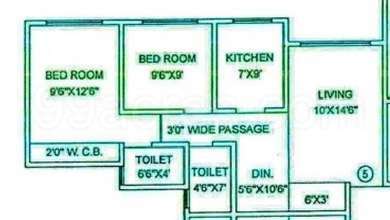 What is size of 2 bhk in Unique Poonam Estate Cluster 2? The area of 2 BHK apartments ranges from 950.0 sqft to 1155.0 sqft. 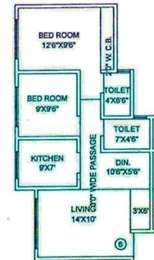 What is the area of 3 bhk in Unique Poonam Estate Cluster 2? Three-room units (3BHK) in the project are available in an area of 1385.0 sqft. What is the total area of Unique Poonam Estate Cluster 2?The project spans across 4.3 Acres. What is the 2 bedroom price in Unique Poonam Estate Cluster 2? 2 BHK units in the project are available at a price tag of Rs. 6900000 to Rs. 11000000. Mumbai-based Unique Shanti Developers Pvt. Ltd. is a renowned real estate developer that was established in 1992. Over the past 21 years, the builder group has been delivering excellence in the form of unique real estate projects. The ISO 9001 and 14001 certified company is known for its dedication towards introducing quality construction and handing over the projects in time, creating a feeling of trust among its customers. ?s Mira-Bhayander area. The first venture by the construction house was a 143-building mega township that portrayed the group?s confidence and strength to take up major projects. Today, the company has built five mega township projects, covering about 2.5 million square feet each. These projects are the reason behind the smiles of over 25,000 families residing here. Can anyone tell me out of these two projects - Unique Poonam Estate Cluster 2 and SKD Pinnacolo which one is better for end-use? These projects are located in Mira Road East. Please help me. 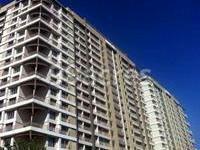 Hello Amarjeet, these two projects are ready-to-move; only one tower is left in Unique Poonam Estate Cluster 2. Both the projects are located in Mira Road East and developed by good developers as they hold good name in real estate market. In terms of end-use, I would suggest you to go with SKD Pinnacolo because as compared to Unique Poonam Estate Cluster 2, SKD Pinnacolo is equipped with some good and modern amenities. Also, capital values for SKD Pinnacolo are rising better in compare to SKD Pinnacolo. Moreover, Unique Poonam Estate Cluster 2 is an older project as compared with SKD Pinnacolo. Before buying, I would suggest you to conduct a site visit and then decide which one is best for your requirements. Which is the nearest railway station from this project? Also, tell me about the roads, connectivity links and social infrastructure around this project? @Pradip, located in Mira Road East, the closest railway station from this project is Mira East; located just 2 km away. Mira Road East which is a developed area located on the banks of Vasai Creek. Western Expressway passes through this locality which provides sound road connectivity. Mira Road East is surrounded by others developed areas such as Bhayandar East, Mira Road West, Borivali West and Dahisar East. Moreover, this area is well-connected with wide roads and rail networks. Regular transport options like BEST buses, cabs and auto-rickshaws are easily available here. Chhatrapati Shivaji International Airport is just 28 km from this area. There is no dearth of schools, colleges, IT parks, hospitals, Banks/ATMs and shopping malls in this area. Some of the popular ones include State Bank of India, D-Mart, Saibaba Hospital And Polyclinic, Kendriya Vidyalaya, Rassaz Shopping Mall, Inox Thakur Mall, HDFC Bank and Kava - Fairfield By Marriott and Kesar Sweet Shop, among others.